It wasn't until 1913, when the 16th Amendment was ratified, that a progressive income tax was born. But April 15 wasn't always the date taxes were due. The original deadline for filing your taxes was March 1, which was quickly moved to March 15. It wasn't until 1955 that tax day was moved to today! Whether you file online or in-person, on-time or with an extension, we hope you won't find this e-newsletter too taxing. Read on for exciting news about Alumni Weekend, a recap of an inspiring Cotton Lecture, Gilman baseball travels, an alum using his psychiatric training to help athletes sharpen their mental skills, a new student-led art project, and more. Alumni Weekend is just two weeks away and we hope you are making plans to join in the fun! While we are particularly excited to welcome alumni whose class years end in 4s and 9s, there are plenty of great activities for non-reunion year alumni as well. These include the Third Annual Gilman Forever Luncheon, Alumni Golf Outing (please note the new location), Alumni Crab Feast, Classes without Quizzes (featuring your last opportunity to visit paradise with Dan Christian before he leaves for a new heaven in Iowa! ), alumni Baseball and Lacrosse breakfasts and games, the Awards Luncheon (honoring Tim Holley '77), and more. Plus we've added two screenings of A Path to Follow: The Reddy Finney Story. A full list of activities, details, and registration links can be found at gilman.edu/aw2019. We hope to see you there! Dan Diamond '98 and Andrew Schapiro '01 returned to campus this month to present the 38th Annual Cotton Lecture. Dan, a health policy reporter at POLITICO, shone a light into the life – both the glamorous and the gritty sides – of a reporter. Andrew, a designer who most recently served as Creative Director at Airbnb, challenged students to chart their own courses. Read more about the event and see full videos of their speeches here. While many students took off for a well-deserved vacation during spring break, Head Coach Larry Sheets and members of the varsity baseball team boarded a bus and headed south. Highlights included a visit to Wake Forest University, playing five games in five days, and a reunion of Gilman superfans. Read about it here and see some great photos from the trip. We want to know what you have been up to lately! Please submit your Class Notes online and share news about moves, promotions, weddings, children, grandchildren, and so forth! To ensure that we can include your news in the next Bulletin, please submit your notes by May 10 ... Speaking of the Bulletin, it will be mailed to all alumni this summer and we want to be sure it reaches you! Please log into the alumni portal and verify your mailing address here. Studio art has had numerous homes at Gilman: from what was once A Study Hall (now Centennial Hall), to the third floor, to its current home on the terrace level of Carey Hall. Now Gilman artists have a new home online as well! Enterprising students Wade Perry '19 and Adam Masom '18 have launched the Hound Art Studio, where you can view and purchase a variety of paintings and learn about upcoming shows. Learn more and see examples of great student work here. Want to see more Gilman artists on display? Swing by campus during Alumni Weekend when the Campus Art Walk will feature the paintings, sculpture, photography, and woodwork of students in all divisions. When athletes are struggling physically, they turn to coaches and trainers for help. When they are struggling mentally, however, the path to recovery and/or peak performance is less clear. Enter Arman Taghizadeh, M.D., '95. Dr. T is a leading expert in the field of Sports Psychiatry. 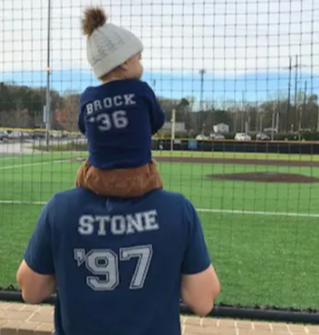 In March, he introduced his mental skills training program to Gilman's JV Lacrosse team, helping team members work through issues like performance anxiety, pre-game preparation, and thriving with limited practice opportunities. A former Division I college wrestler, Dr. T did his psychiatric training at Johns Hopkins and is a board certified Child and Adolescent Psychiatrist and Sports Psychiatrist. He has been recognized by the Baltimore Business Journal and the Living Classrooms Foundation as a "Rising Star" and as a "Top Doctor" by both the International Association of Healthcare Professionals and Baltimore Magazine. Learn more about his work here. Andy Matthews '15 is the focus of a profile in The Daily Tar Heel for his contribution to UNC lacrosse. The Class of 2010's J.D. Kameen, Jay Brooks, and Andrew Mighty all participated in a two-week amphibious exercise with the Marines. Mike Lwin '01 co-authored an article in the Georgetown Journal of International Affairs about Facebook's presence in Myanmar. Find details of these stories and more on Buzz Worthy. FROM THE ARCHIVES: Call for Objects! The Gilman Archives is always looking for objects of historic value to add to the collection. 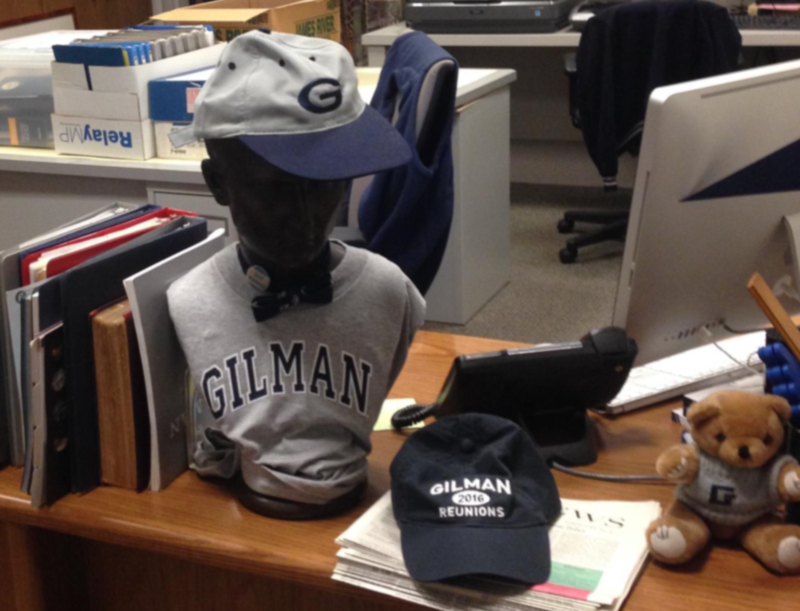 We are particularly seeking pre-1980 Cynosure yearbooks and select Gilman News issues prior to 2000. The Gilman Punctuation Rules from the 1960s and 70s is also on our wish list. 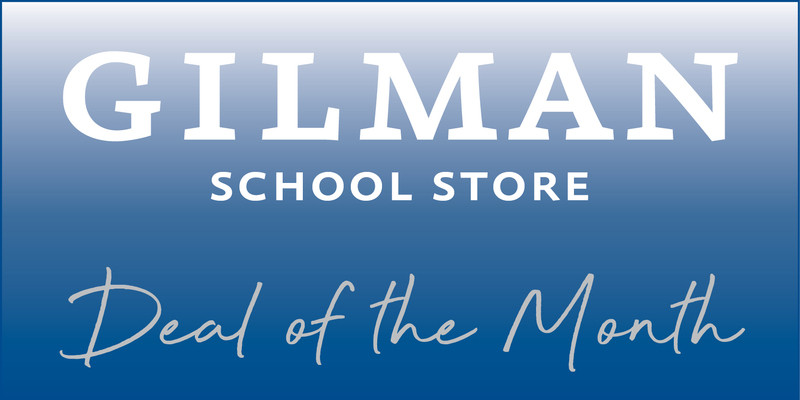 If your spring cleaning has turned up an object you think should be preserved by the School, please contact the Gilman Archives with a description. Through the end of April, you can get 10% off your entire online purchase of apparel, accessories, gifts, and more! Visit today!